Redland City Council has today announced its vision to revitalise the Capalaba town centre. The project will improve public transport access, provide new library and community facilities and transform the precinct into a new town square environment that is safe, activated, innovative and environmentally sustainable. Council, in partnership with subsidiary company Redland Investment Corporation (RIC), has launched an expression of interest campaign seeking a development partner to deliver an exciting landmark development that supports the revitalisation of Capalaba in line with its vision for this key area of Redlands Coast. Redland City Mayor Karen Williams said the Capalaba Town Centre Revitalisation project provided a significant revitalisation opportunity and, due to its central location and cultural and economic significance, was an ideal canvas to deliver a world class, active, urban heart for Capalaba. “We know Capalaba holds tremendous potential as the entry into the Redlands Coast and this project will help open up the area’s untapped potential to deliver a high quality, innovative and creative outcome,” Cr Williams said. “As the former Councillor for the area, I know Capalaba is home to a growing number of families and so we want to ensure the project protects the local community feel of the area while at the same time delivering on the infrastructure and transport improvements needed. Cr Williams said Council and RIC would work with the successful development partner to implement a contingency plan for the library and other community facilities to allow for continuity of services during the construction period. “The project will also include the Capalaba Bus Interchange – a key transport node providing connectivity to the inner and eastern suburbs of Brisbane,” she said. “As part of our vision to provide growth opportunities for the area, Council and RIC will be looking at improving public transport access and, through the expression of interest campaign, will be considering options that will allow Capalaba to be metro ready. Cr Williams said Capalaba was recognised as one of only fifteen Principle Regional Activity Centres under the Shaping SEQ South East Queensland Regional Plan 2017 that are key focal points of regional employment and in-centre development. Redland City Council Division 9 Councillor Paul Gleeson said he was supportive of plans for the revitalisation of the area. 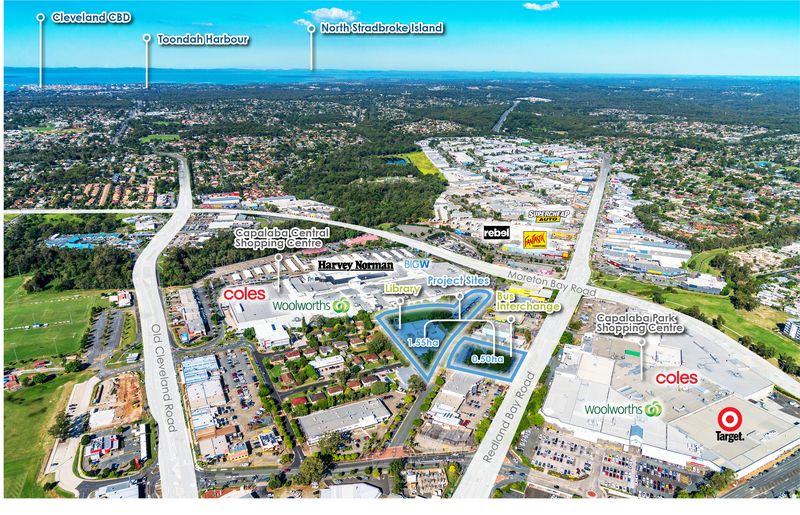 “With the right development partner, this project will breathe new life into Capalaba, boosting the local economy and enhancing connectivity between the two existing major shopping centres,” Cr Gleeson said. Council and RIC, through property advisors JLL and Ray White, invite suitably qualified and experienced developers to participate in an exciting opportunity to redevelop the Capalaba town centre via expressions of interest closing 4pm, 15 February 2019.